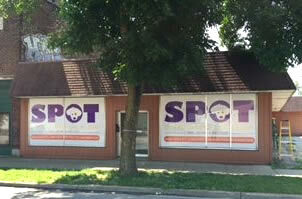 Spay Neuter at SPOT – Stop Pet Overpopulation Today – Spay, Neuter & Wellness – Terre Haute and Cloverdale Indiana | At the SPOT Clinic we offer low-cost preventative care options for your pet. Mondays and Wednesdays from 3:oopm – 6:00pm. No appointment necessary! Did you know that one unspayed cat can be responsible for over 1,500 kittens by age three? The earlier you spay/neuter your pet the longer they can live. Studies show that fixed pets can live up to 6 years longer. Low income and need help covering spay/neuter costs? Want to be a part of the Humane solution? The cost is $40, with $25 going directly to Spay-Neuter Services of Indiana. SNSI provides thousands of free and low-cost spay/neuter surgery certificates to pet owners and animal welfare groups across the state. Click here for more info! I was wanting to find out how old a puppy must be to get neutered? 2 pounds, or at lease 8 weeks old. Please call 812-242-7768 for more info!